The new EMCA Hybrid- Surface Finish is ROHS-and REACH-compatible. It was developed as an alternative for Cd-olive drab-, ZnNi-, ZnCo-, Ni-PTFE- and Ni- finishes. 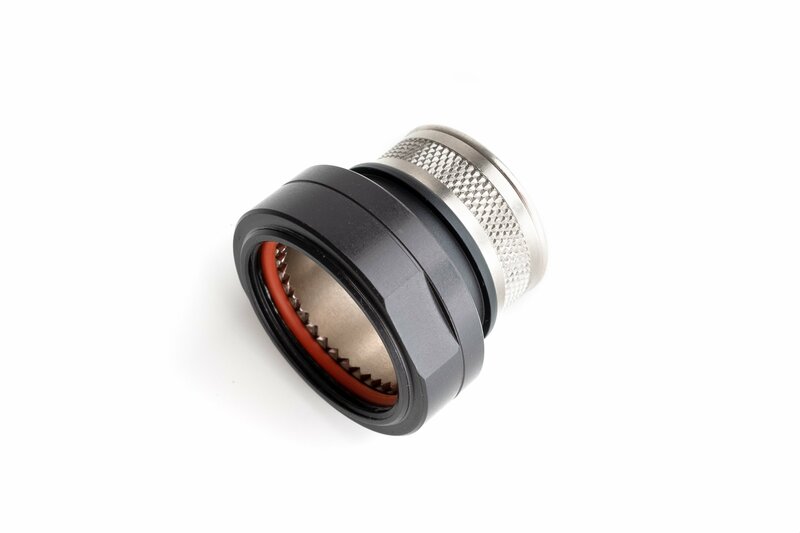 It is intermatable with those and other finishes of the corresponding connectors, without interfering their features. The Shielding effectiveness- and salt spray resistance- have been tested successfully and the items are approved by VG 95319-1011. Our Hybrid-Surface Finish is available for backshells and accessories of all series.